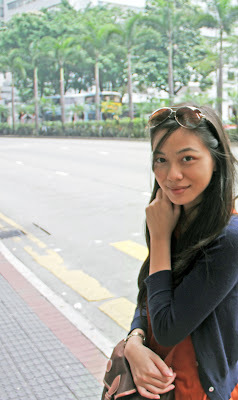 I made another recent trip to Hong Kong ( who can resist cheap flights? ) 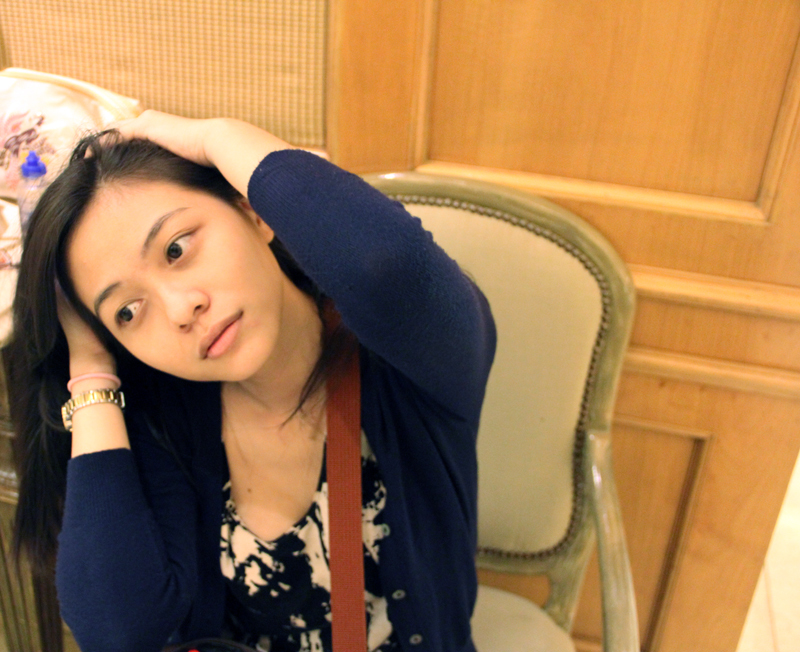 and this time my tummy is demanding MORE. The only trouble is, that there's too much good food to try, and too little time. So I had to sieve through the list, picked those I wanted to try, queued up, and... well. I think you know the rest. 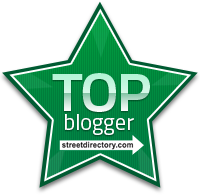 And so, I have compiled my 5 favourite places for you and your taste buds to enjoy! I know I've mentioned them in my previous post here, but that was at the Mongkok branch which has since closed down, this was taken in their Central branch. I just had to include them in this post because they're so yummy!! For SGD$20 you can feast like a king and that's after you've shared food with your friends. 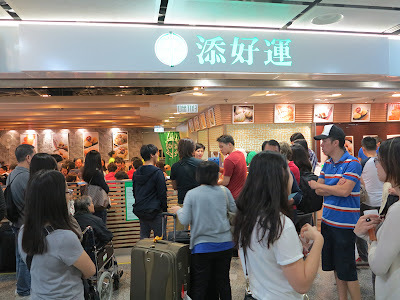 Tim Ho Wan has an outlet conveniently located at Hong Kong station, so immediately after we touched down, my mother and I went straight there, luggages in tow, and waited 20 minutes before we were seated. 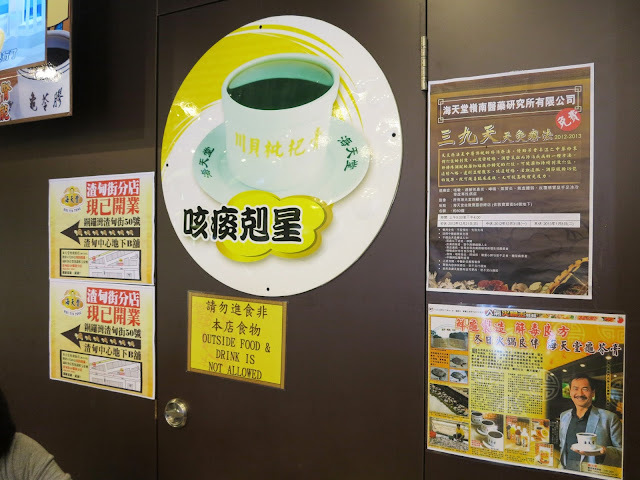 Most cafes in Hong Kong are really efficient in seating their customers, so don't be surprised if you're at a table for 3 and they slot someone who's alone by your table! 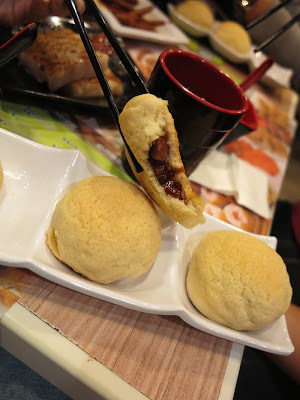 The moment I've been waiting for... my char siew bao! How do they make the top layer slightly crispy, but the inside so flavourful, juicy and delicious? Plus, the pork inside the buns were in bite sized pieces! A definite must-have whenever you're in Hong Kong, especially since it's the cheapest 1 star michelin restaurant in the world. 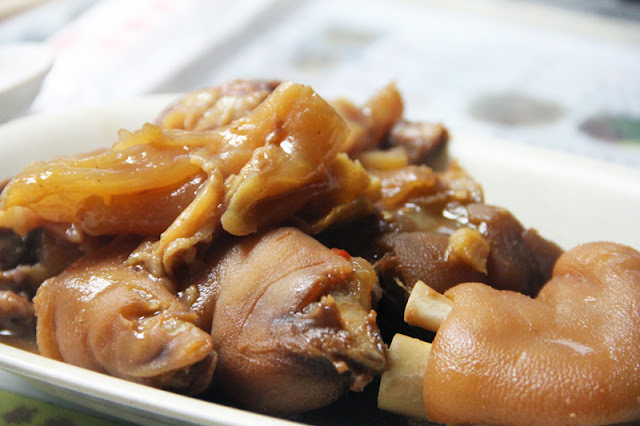 If you're a fan of chicken feet, these are irresistible. Soft, chewy and soya sauce. If you've never tried them because it "looks disgusting", you've never had the accomplishment of trying to polish them off! It isn't as easy as it looks :P Finger licking good. PSST: I like to leave the middle finger for last. Haha! 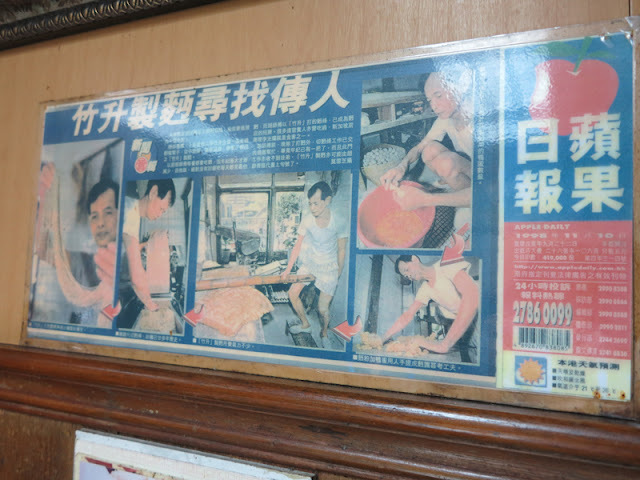 Pounding dough with bamboo poles is a dying art because of how tedious and time-consuming it is. Many restaurants/cafe chefs lack the dedication and passion and prefer to use machines. 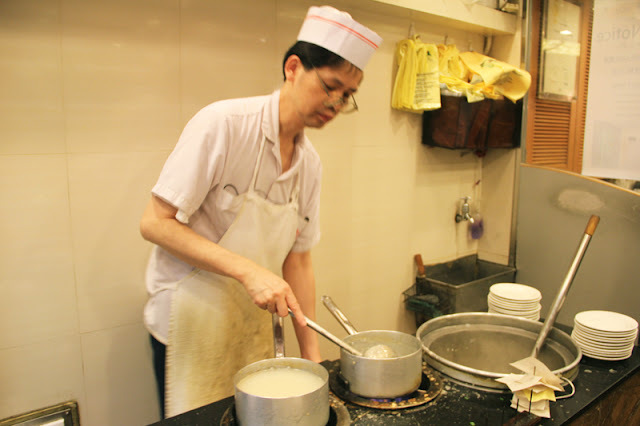 In fact, in 8-10 years all noodles cooked this way would effectively be extinct with no one to take over the business. 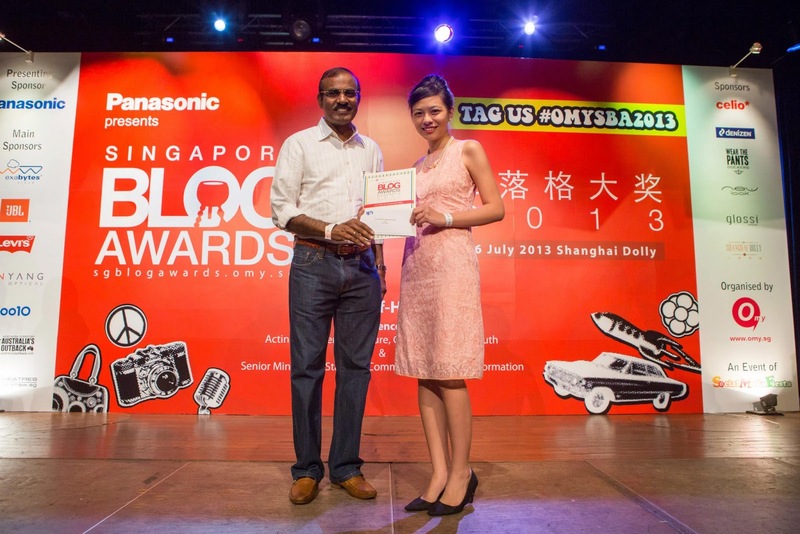 Seize the opportunity when you're next in Hong Kong because they're unlike any noodles we've had in Singapore. You don't know what you're missing til you've tried them! If you see from the picture below, he's kinda sitting on the bamboo pole and bouncing on it. Imagine having to do this every day for work. No wonder it's a dying art. The Noodles were crunchy and you can just imagine the dough being compressed and kneaded with bamboo poles to give that springy, chewy texture! 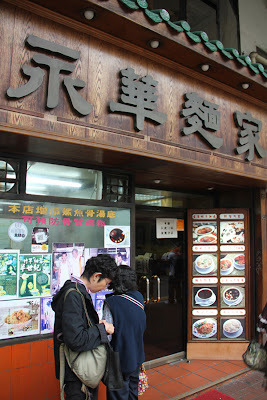 The soup was simple and the wanton's were generous, but the noodles itself really gave the dish its star status. Pigs Trotters, Tendon and beef brisket for about $10 sgd. 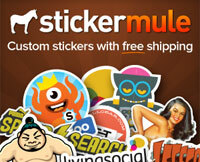 Really value for money! We also ordered side dishes because I am a hungry, greedy woman. Couldn't decide between pigs trotters, or the tendon so we just ordered a set. Really loved this dish because the meat was soft and tender, the skin had absorbed just the right amount of sauce (some sauces are overpowering). Was craving this a few days later already. Am still thinking about it now. 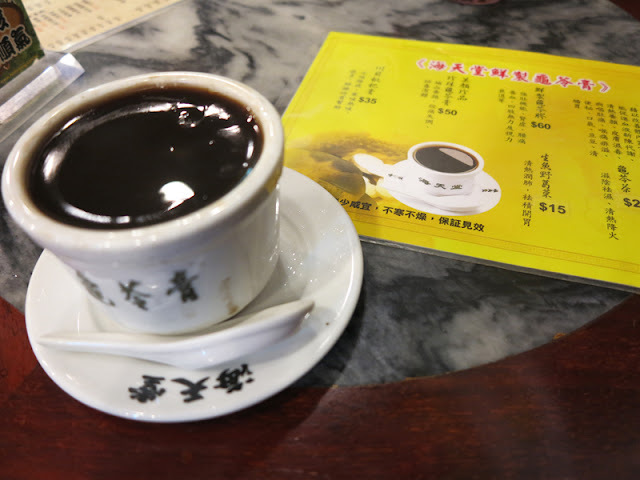 One of the highlights is their homemade red bean soup. It's simple to make but hard to master. It's easy to become diluted, or too thick, but this was just nice and helped wash the meal down. Sweet, healthy and tasty. What's not to love? We ordered two desserts but this disappointed me a little. The soup was milky, smooth and too thin for my liking. If that's the sort of barley ginko nut type you like (like my mother), then you'll enjoy this! 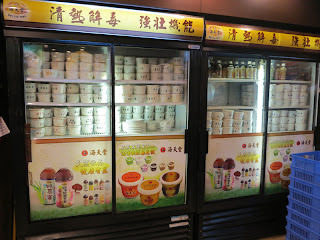 One star michelin restaurant, Ho Hung Kee, has the smoothest porridge I have ever tasted. 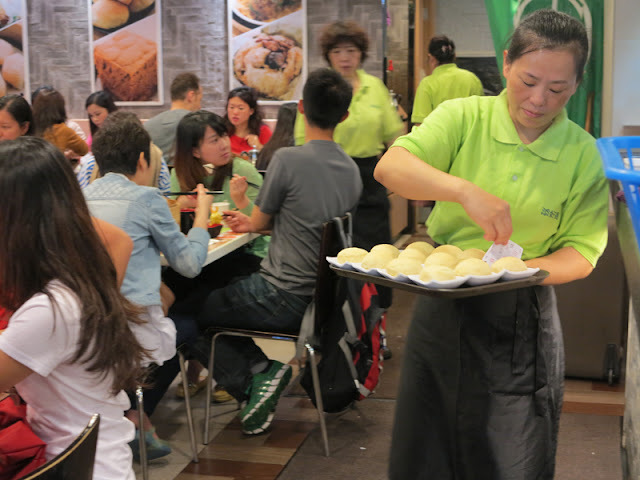 It's packed on weekdays and weekends but lucky for us, people in Hong Kong like to eat efficiently and head off! 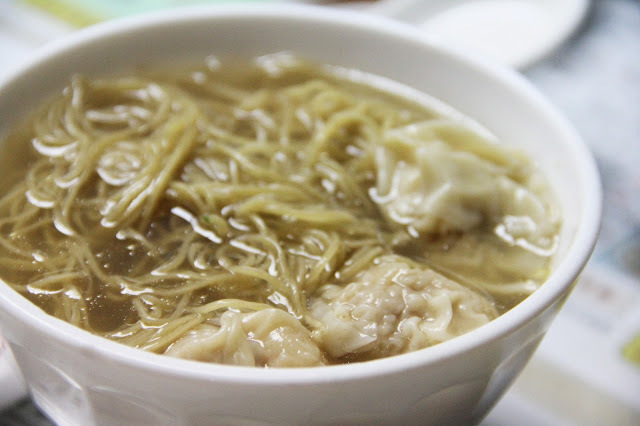 Some claim that Ho Hung Kee's wanton noodles are spectacular, but I prefer the wanton noodles at Wing Wah. Order one at each and decide for yourself! 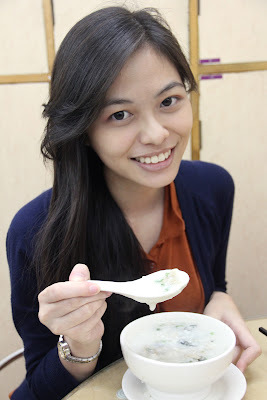 We picked century egg porridge and they were better than I expected. I've been eating chinese food, after all, my mother is cantonese, and this was the best porridge I've ever had. It was not overly thick, the century egg didn't have a strange smell (believe me, I know) and was just a delight to finish! 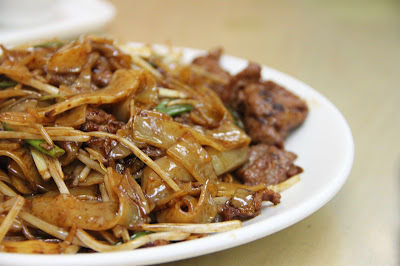 To pile on to the unhealthy choice, we added a plate of fried hor fun, which was really oily but was addictive. Alas, this branch has closed down and moved to Hysan Place. You can still get the porridge there though! 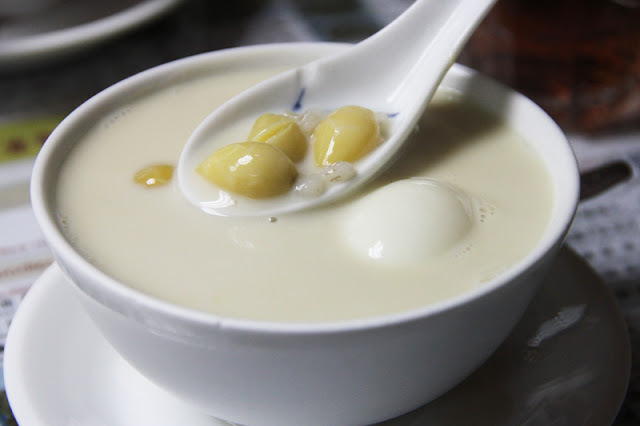 When you've been eating too much fried/heaty food, it's easier for you to fall sick, so the best way to balance your diet is to have guilinggao! Depending on your condition (how much sinful food have you been eating?) you'll be recommended with a different concoction. I picked the original Gui ling gao to improve my blood circulation, kidney function, improve sore throats, and boost strength by removing toxins! 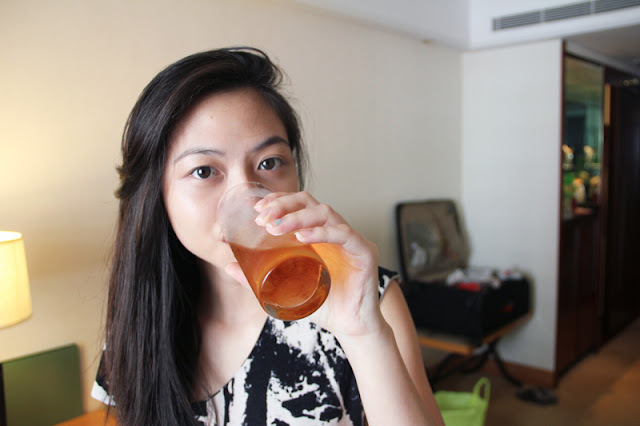 It also helps to cool the body down, especially during summer when it's hot and the erratic temperature. I spammed honey (provided) with this because it's quite bitter to me! I can't really remember what we drank but I think we ordered the Fish and Wild Herb Tea and Gui Ling Tea. They were much easier to drink than the jelly Gui Ling Gao as they weren't as bitter, but their effects weren't as strong. 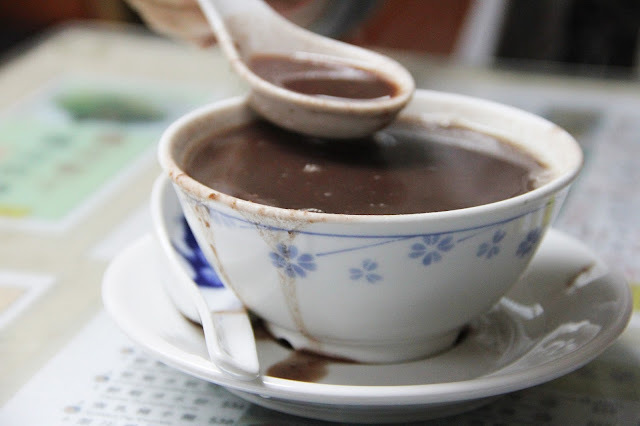 I'd recommend this to people who have never had gui ling gao before in their lives, because knowing that you're drinking turtle soup might put some people off. You can choose if you'd rather have it served hot or cold. 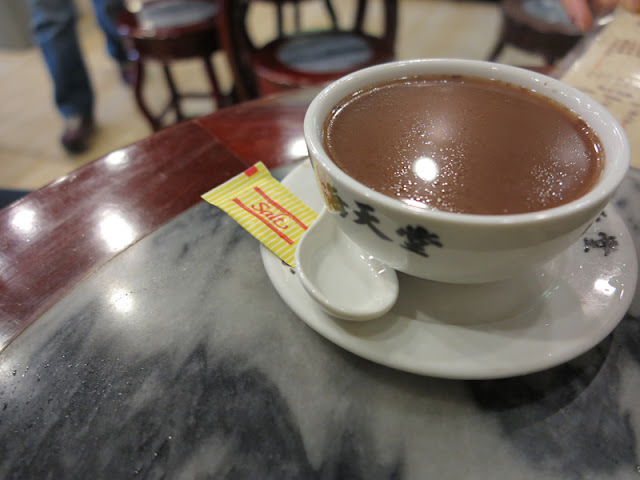 I prefer hot because the herbal smell is stronger, it's better for digestion, and when I had a sore throat, having cold drinks would irritate my throat further. Many people have been asking me about these piggy buns that I posted on my Instagram/Facebook page while I was in Hong Kong. 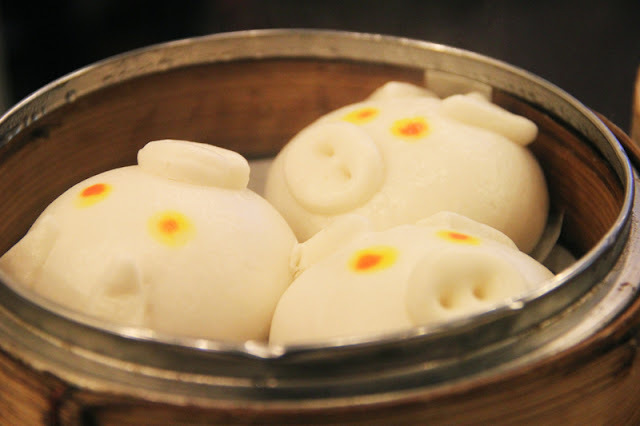 I thought that the other dim sum we ordered were so-so, but these custard buns are worth highlighting! Not only are they cute, but when you break them apart (sorry piggies!) the salted egg custard flows out and was soooo delicious. 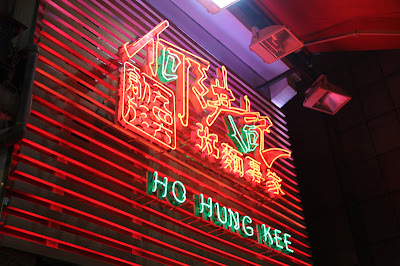 If you have any other restaurants you'd like me to check out for my next trip to Hong Kong, or if you've been to these places, leave me a comment below!